... And I have a clearer wardrobe. I'll admit it may not look it but the top has clear space and there are three large(ish) bags ready for the charity shop tomorrow. 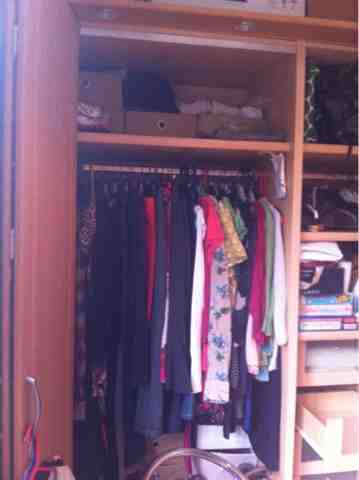 Some clothes are also in a case ready for when we vacate our bedroom for it to be decorated.